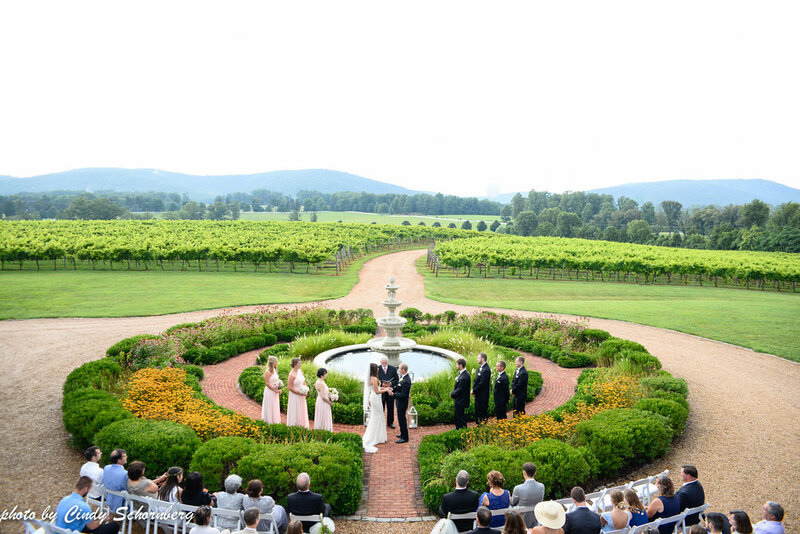 We were lucky to end our stretch of July vineyard weddings with Shannon and Nathan on Saturday, the 30th. 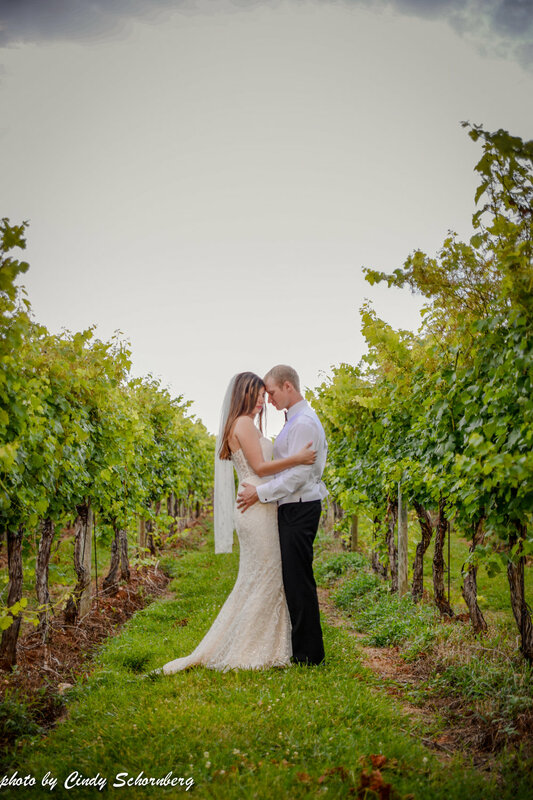 They chose Keswick Vineyards to be their wedding venue for its incredible views and they were so excited for their friends and families to see and fall in love with them just as they had. The day was gorgeous! We had the perfect amount of sunlight and clouds to make for beautiful photo backdrops for Shannon and Nathan. 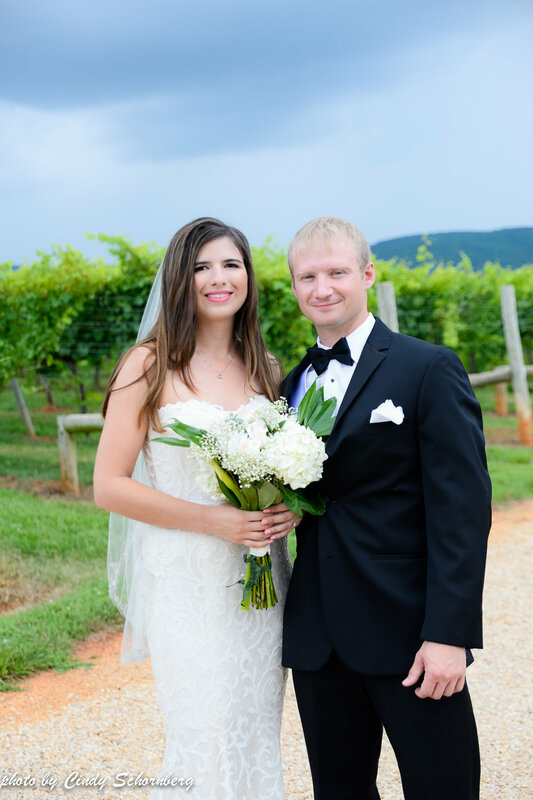 While the girls were being pampered with hair and makeup in the bridal suite and the guys relaxing with good music and games of pool in the man’s cave, Keswick Vineyards team looked across the mountain to see a baby storm approaching. Our first thoughts? Check radar! When we did, we realized that it would be a short summer storm that would blow over quickly and drop the summer temperatures to a more comfortable degree. Great! With quick thinking and swift planning on Keswick’s end we decided to switch things up for their wedding. Not knowing when the storm would come and go, and knowing we were approaching ceremony time, we decided to start things off in reverse order. We welcomed guests into cocktail hour first and kept them happy with music, great Keswick Vineyards virginia wine, and (of course) food! The couple had HotCakes as their wedding caterer who had quite the spread for guests to enjoy. They loved the variety they were offered and it served as a great “distraction” while we waited for this summer storm to pass. Sure enough, it did just in the nick of time! Cocktail hour was wrapping up, catering and Keswick Vineyards quickly set up for ceremony out front of the main estate looking towards the fountain, vineyard, and mountains. We had an outdoor ceremony! 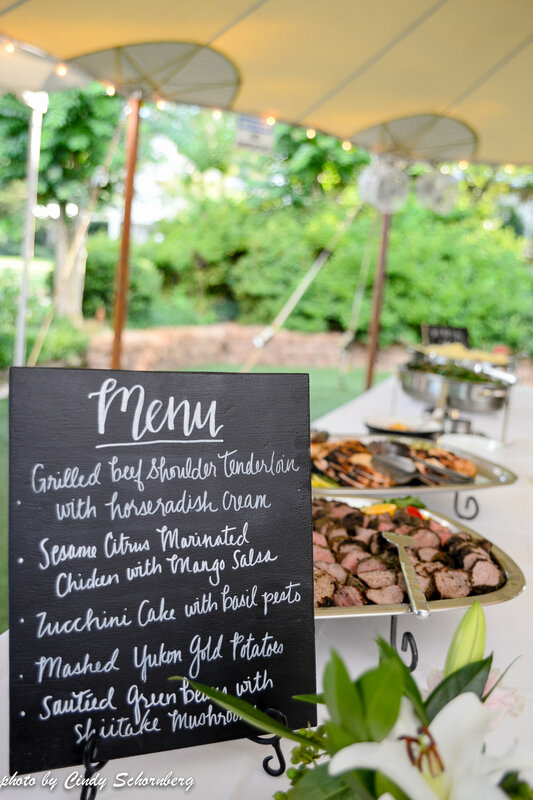 Shannon and Nathan were absolutely thrilled and even commented on how them and their guests loved being able to mingle and chat with drinks and appetizers before the ceremony. “Everyone was so happy,” said Nathan. 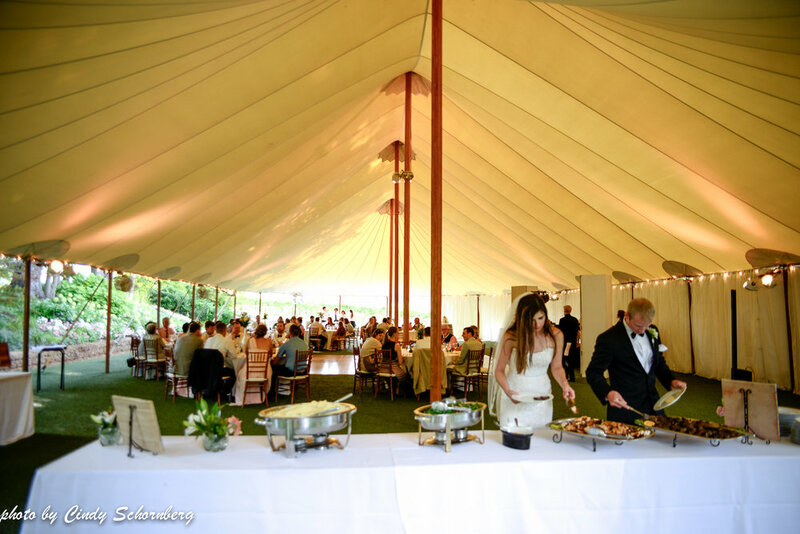 Ceremony completed and guests then gathered underneath of our beautiful, sailcloth Sperry Tent for reception where they enjoyed a delicious and intimate dinner followed by dancing the night away with DJ Frank Smith. Thank you to our incredible vendors for making this day run so smoothly! Catering and Desserts, HotCakes. Photography, Moonrise Photography. Hair and Makeup, The Spot Beauty Shop. Flowers, Mother of the Bride. DJ, Frank Smith with Prime Time Sound. Officiant, Fred Adkins. Rentals, MS Events.